NSBOS, MBISS, Ch. Meisterhaus Happy Hour At Signet "Olive"
Olive was from our first all-girl litter at Meisterhaus, a repeat breeding of Parker, Bella and GiGi. 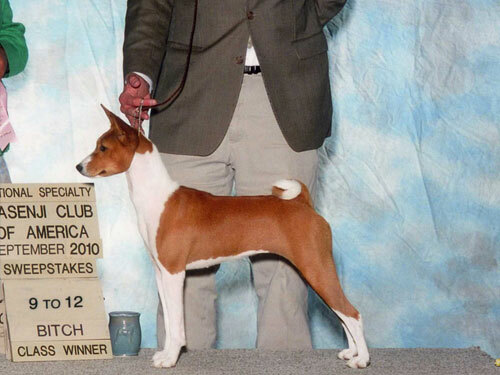 Olive is a prime example of the Basenji standard with her beautiful type and effortless wide-open side gait. 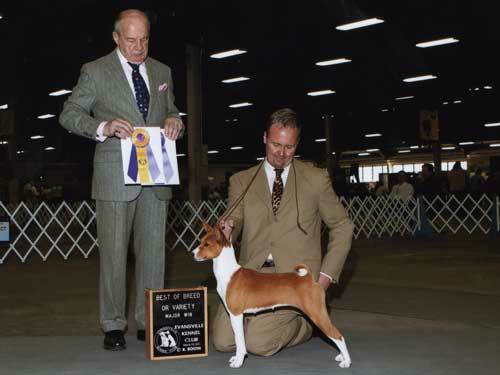 Olive finished from the Bred by Class in seven shows, four of which she was Best of Breed over specials in the US. There is more to come from this young girl. 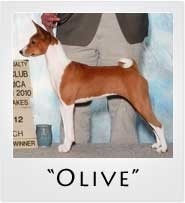 Thank you to her co-owners Thomas Kirstein and Cody Fobber for their support and commitment to Olive. 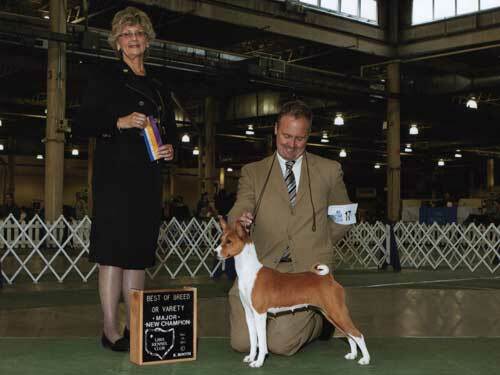 Olive finished with many Best of Breeds from the Bred By Class over Top Specials and with four (4) major wins. 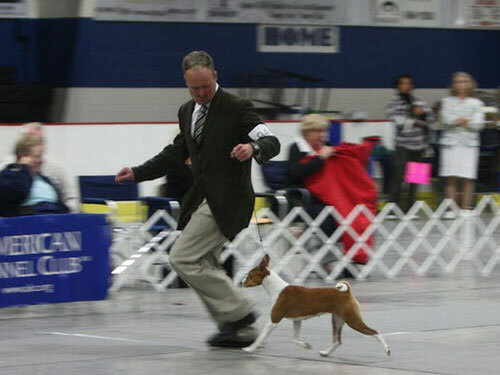 Olive finished in the Top 5 her first year shown as a special with Tim. 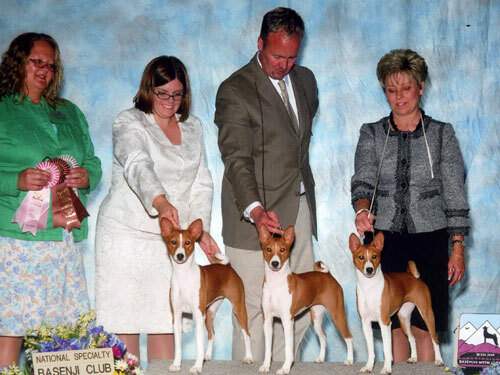 In 2013, Olive has remained in the Top 5 Basenjis. Thanks and congrats Tim for another great year with our girl.